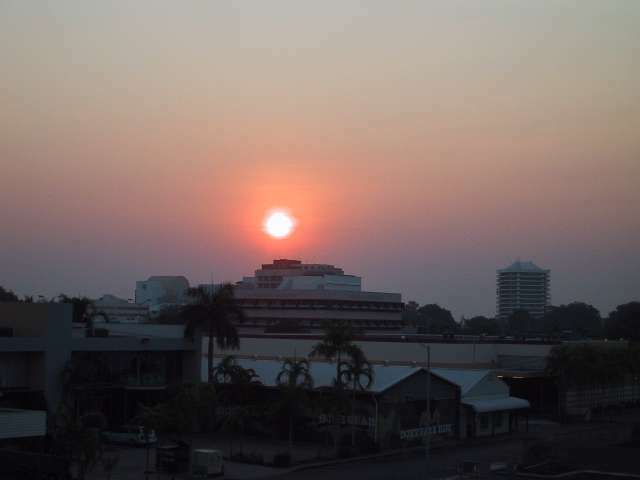 Arrived in Darwin Friday evening from Broome. Didn't do too much, walked up the street and picked up some dinner and supplies from the supermarket. On Saturday organised a hire car and was picked up from the appartment. The nice lady at Budget let me keep it until Monday morning for a 1 day rate. Drove around Darwin - didnt take long. Drove down to and on the wharf. I explored the WWII oil storage tunnels. 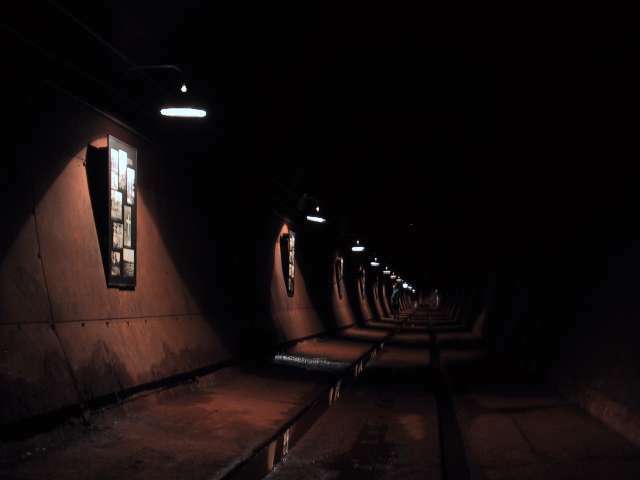 These appeared similar to underground train tunnels, but were used to store oil during the war, and were underground for protection against bombing. Drove a little further out to Fanny Bay, East Point, and Lake Alexanda. There did not seem to be too many people about. After brekky at the appartment on Sunday, I headed out in the car again. I spent an hour or two at the Aircraft Museum. 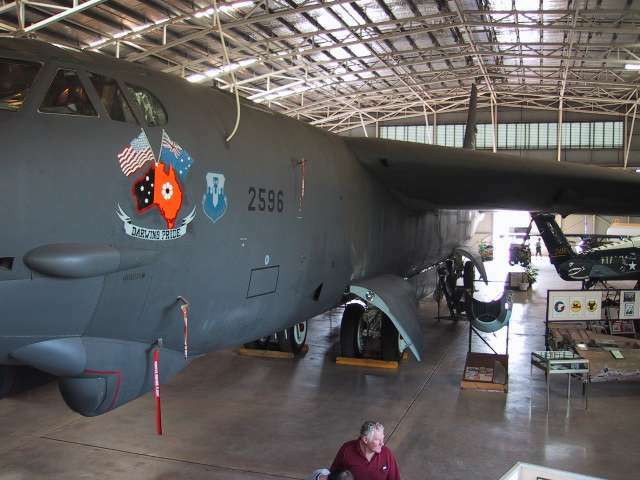 The centre piece of the display is a US B52 bomber. It is huge and only just fits into the building. There are many other aircraft, engines, and other items on display. Drove down to Cullen Bay for lunch. 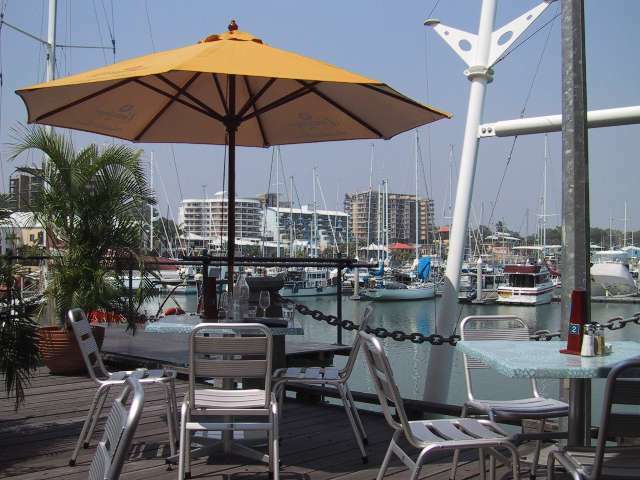 There were a number of restaurants and cafes on the water. 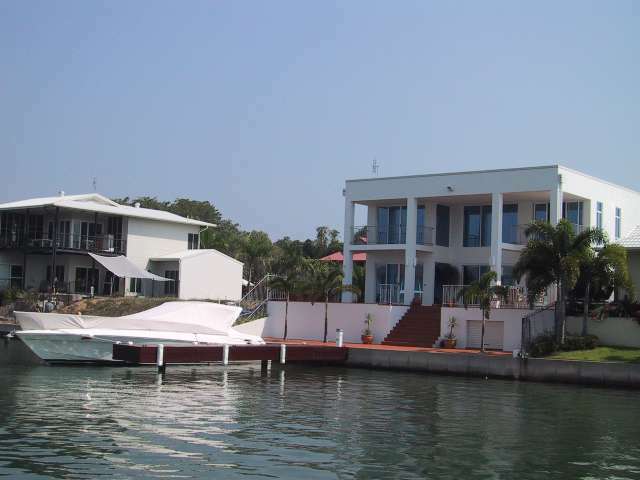 Also some very nice real estate in the area. In the evening, went to the Mindel Beach Markets. The market runs from late afternoon until after dark. 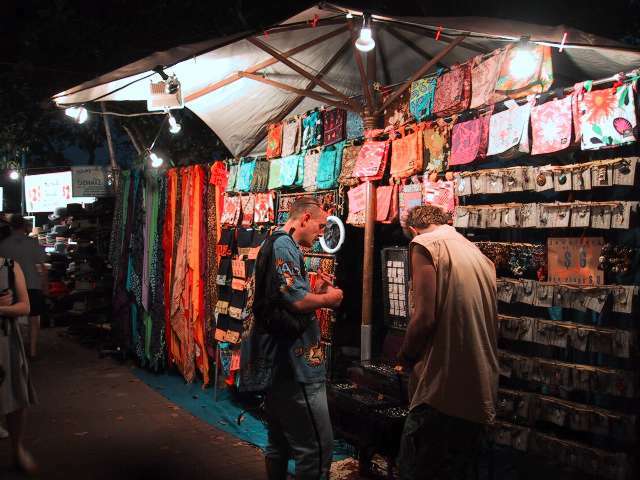 There were various food stalls, art and crafts, and 'hippy' stuff. I had an average chinese pork, and a great crepe with strawberries and cointrou.